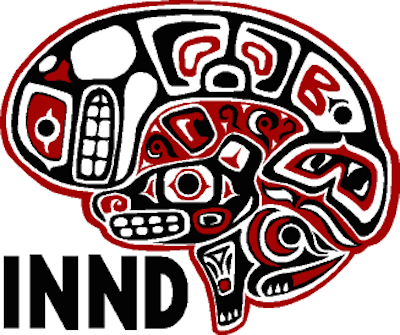 The Institute of Neurotoxicology and Neurological Disorders (INND) is a 501(c)3 nonprofit organization that has focused for the past twenty years on research and education about chemicals and toxic agents. If you'd like to make a donation to this work, we are always grateful for support in pursuing our mission to cultivate an informed public and a safe environment for all. 1999: INND is founded by Dr. Steven G. Gilbert. 2004: A Small Dose of Toxicology is published and becomes a best-selling introductory toxicology text. A companion website, http://www.asmalldoseof.org, is launched. 2006: Toxipedia is launched and expands to contain over one thousand pages within one year. 2008: IPMopedia is launched and featured on KUOW community radio's Green Days program. 2009: Washington Nuclear Museum and Education Center is launched and funding is obtained to expand the site. 2009: World Library of Toxicology is launched and first announced at the 7th Congress of Toxicology in Developing Countries (7TDC) in Sun City, South Africa. 2009: INND analyzes toxicity data of over 800 pesticide products for Grow Smart, Grow Safe: A Consumer Guide to Lawn and Garden Products (6th ed. ), published by Portland Metro and King County. 2010: Toxipedia Web Development Services is launched. 2011: Healthy World Press is launched and 1st edition of Particles on the Wall is published. Toxipedia content on oil dispersants developed for Earthjustice becomes top Google search result on the topic. Healthy Gardening Guide is launched. 2012: Facts on Composting is launched. A Small Dose of Toxicology, 2nd edition, is published as free e-book by Healthy World Press, along with a new companion website. Second edition of Particles on the Wall is published. 2013: Chinese translation of A Small Dose of Toxicology is published by Shanghai Scientific and Technical Publishers. Spanish section of Toxipedia is launched. 2014: Expanded 2nd edition of A Small Dose of Toxicology is published as free e-book by Healthy World Press. Translation projects for Arabic and German are launched. Toxipedia hosts Texas Tech University's Reference Guide for Fungi. 2015: Toxipedia hosts the relaunched Particles on the Wall website. Toxipedia updates and relaunches Lessons Learned series of articles. Milestones of Toxicology poster is now available in fifteen translations. 2016: Four additional chapters to A Small Dose of Toxicology are made available for download. Dr. Steven Gilbert is awarded the Society of Toxicology's Public Communications Award. Toxipedia hosts A Global Bibliographic Perspective of Toxicology. Toxipedia merges with Collaborative on Health and the Environment.